Implement a strategy and mechanism to generate a constant flow of ideas. Simplify the evaluation system to speed up the suggestions feedback process. Learn effective approaches to develop creativity and improve participation rates. Effective Staff Suggestion System is based on Kaizen Teian -- the Japanese-style proposal system for continuous improvement -- is the most direct and effective method for channeling employees' creative energies and hands-on insight. This presentation focuses on the management, guidance, and development of an effective suggestion system. It explains the key aspects of running a suggestion system or proposal program on a day-to-day basis. This concise reference outlines the policies that support a "bottom-up" system of innovation and defines the three main objectives of a successful suggestion system: to build participation, develop individuals' skills, and achieve higher profits. This comprehensive guide teaches the methods to plan, implement and sustain the program. 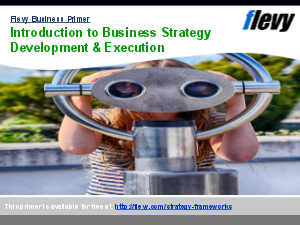 It teaches strategy, mechanism, roles, process, and how employees should write good ideas. 13. Ways to Develop "Kaizen Eyes"
Employee Management? Supply Chain Analysis? Bain Frameworks? Or something else.